Heavenly blog! : No. 897: The thing about Jan Hanvold and Vision Norway is nothing else than an attempt by the Evil doing Hanvold and Vision Norway living purely for the Norwegian people! No. 897: The thing about Jan Hanvold and Vision Norway is nothing else than an attempt by the Evil doing Hanvold and Vision Norway living purely for the Norwegian people! The thing about Jan Hanvold and Vision Norway is nothing else than an attempt by the Evil doing Hanvold and Vision Norway living purely for the Norwegian people! I've said from day one, and long before that everything Jan Hanvold doing and going to do is not from God. He lives in adultery or sin, and belong and do not serve the living God! About Hanvold serve 1 million or 10 Million does not matter as long as he lives in adultery! It is amazing how one is concerned with what really is totally insignificant and have no bearing on his morals and relationship with the living God ?! About Hanvold manages to pry themselves "free" that he, after all, do not earn as much or have earned the money he gets, what does that say? Nothing. God owns everything in this world, he is its rightful owner of everything that created everything. All we are really only on loan. But what he says about HANVOLD moral and ethical life? It is this that is deciding, nothing else! Everything else is and remains a diversion of the evil. Is it so important to point this out? Should not every figure out what is right or wrong? Both yes and no. 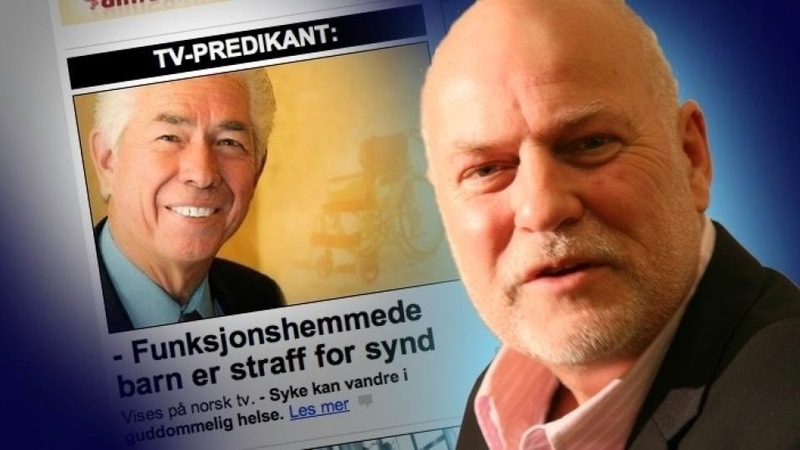 Hanvold and Vision Norway is a public Christian channel fleas gullible, naive and "magnanimous" Christian people each year 90 million (it was 100 Million before Channel 10 came). Then we have, inter alia, Evangelist and Bible teacher Jan Kåre Christensen and the Heavenly blog that God has created to reveal and point the way out of this disability and deception that God's people have entered and are inside! Need prayers and support for further work and service, you will be doing?